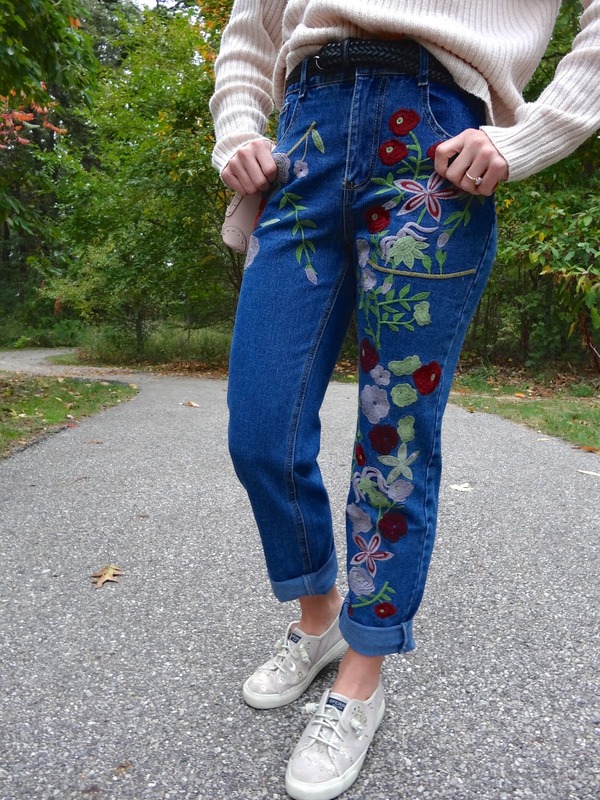 It took me a little while to get into the mom jean trend but now I love them. What I like about them is that they aren't as baggy as boyfriend jeans, and that they have a high waist. These are especially cool because of the floral embroidery. The only thing is that they are a little baggy around the ankles, so I might alter them. I am also considering cutting them where they are cuffed and leaving a raw hem. Let me know what you think. I love this look!!! The pants are super stylish! !